The old adage of the ostrich burying its head in the sand during times of danger isn’t quite right. In fact, these huge, flightless birds originate from Africa and live on open plains, where they’ve had to develop adaptations that help them fend off prey and make up for their physical limitations. This information didn’t come from a zoologist or National Geographic article. Rather, Robert Meyer, marketing professor at Wharton and co-director of the university’s Risk Management and Decision Processes Center, discovered the truth about ostriches when he was researching why people are so bad at preparing for disasters. That’s how The Ostrich Paradox, which Meyer co-wrote with Wharton professor Howard Kunreuther, got its title. He tells Insurance Business that ostriches actually provide a good metaphor for how humans should behave. After a year of horrific natural catastrophes, you’d think we’d be learning the lessons of where not to build homes or how to evacuate effectively, but Meyer said the events of 2017 will likely not affect attitudes that much. “You go back in time and there have been so many turning points historically where we could’ve had that same conversation,” he explained. Part of the problem is that memories of pain fade quickly. Look at 1969, when a category 5 hurricane hit the southern US, said Meyer. After it flattened the region, initial rebuilding efforts focused on reinforcing elevated buildings, but the objective was soon forgotten as resettling people became the priority. In 2005, Hurricane Katrina hit the same area and the same homes were destroyed, again. 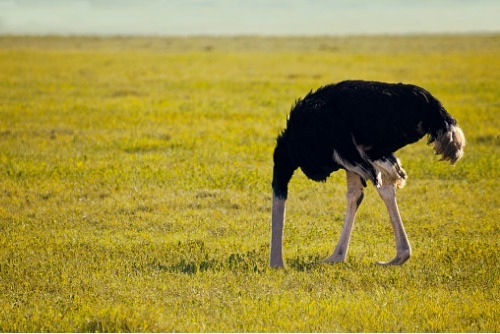 Where do insurers fit into all the talk about ostriches? According to Meyer and the work of the Risk Management and Decision Processes Center, higher rates don’t have a meaningful impact on where people decide to live. “I think one of the things the insurance industry would like to do is put some of the process of the obligation or risk management off of them and back on to individuals,” he said, but added that consumers are not always tuned into how rates are set. “As a consequence, for a lot of property insurance, the signal between the amount of money they’re paying for their monthly premium and the actual risk that they’re facing, in terms of what’s the likelihood that they might have a catastrophic flood, is so remote and so distant that it’s very hard for people to connect the dots,” the Wharton professor remarked. Communities, meanwhile, are doing a better job of being forward-thinkers. Municipalities are strongly considering the effects of long-term climate change and rising sea levels.